NEW YORK: Interpublic Group has merged Current Marketing and Creation into a midsize agency called Current Global, effective April 1. The new agency has more than 200 employees in 30 offices globally and locations in the U.S., U.K., Germany, Brazil, China and India. Current founder and president Virginia Devlin and Creation global president George Coleman are serving as co-CEOs of the new shop. They are both reporting to Frank Mergenthaler, EVP, CFO and chair of IPG’s Constituency Management Group, which includes many of the company's public relations, sports and experiential marketing firms. The newly formed shop will be a part of CMG. CMG includes Weber Shandwick, DeVries, Golin, FutureBrand, Jack Morton, and Octagon Worldwide, while Carmichael Lynch Relate operates outside the unit. 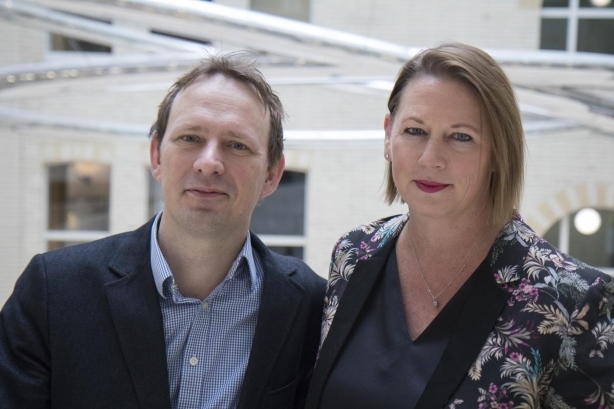 IPG’s Integrated Agency Networks group includes creative networks McCann; Foote, Cone & Belding; and MullenLowe Group, as well as IPG Mediabrands and digital specialist agencies. "We think that we will be among the top 50 communications agencies globally by revenue in 2019, and that's based on [PRWeek’s] global agency rankings from May 2018," Devlin said, indicating the new firm will have $36.6 million in annual revenue or more. She added that Current EVP Amy Colton will serve as GM of North America for Current Global. Coleman said there will not be any layoffs, office closings or openings. "This is a very positive merger about combining the teams," Coleman said. "We’re looking to hire new people. We don’t have plans to open offices, but as the business grows we may look to do so in the future." Merger discussions began in March 2018, said a representative. Devlin said the idea originated while the agencies worked together to promote the 100th anniversary of children’s toy Radio Flyer in 2017. Coleman said the benefits of a merger became obvious as the firms worked together. "For Creation, we had a gap in our consumer capabilities in North America, and here was an amazing agency in that space with an amazing track record," he said. "At the same time, we had a global footprint outside North America. When we started working together, we thought, ‘This is interesting.’"
Coleman added that the combination is not a move by IPG to streamline its PR agency portfolio. "It's very much something that we instigated ourselves and have driven ourselves, from a day-one perspective," Coleman said. "Joining the forces of two smaller agencies to create a robust, midsize agency offering a lot of creative firepower is something that IPG has looked on as a strengthening of its roster of public relations firms." Creation began operating in 2011 as a multimedia production shop attached to Weber. In 2011, Current helped Weber handle the Kellogg account, which the larger agency quickly dropped at the time because of a conflict, but won again last week. Devlin said the new shop will not be working with Kellogg this time around. "We will not be involved with Kellogg," she said. "The win is a fantastic win for Weber, so we’re happy for our sister agency." She added that Current Global won't operate more closely to Weber than any other IPG shop despite Creation's links to the agency. "Weber Shandwick is an amazing sister agency to us, and we will continue to have that strong relationship," Devlin said. "But the two units operate separately from each other. There are times that we will compete with them and there will be some times that we will collaborate with them." Weber declined to comment on the merger. This story was updated on April 4 with additional information.